Today is the first day of spring and I’ve put my native bees on notice. They’ve had a lazy winter. Whilst their European relatives toiled daily, returning to their hives (wherever they are?) with loads of pollen, my bees snoozed, only venturing forth on warm days to clean out the poo and make a few half-hearted forays into the garden. No more excuses. The weather is warmer, I’ve seen them out and about, and there are plenty of flowers in the garden … so now it’s time for them to provide me with some honey. You might recall that twelve months ago, being a bit impatient, I attempted to fool my bees into giving me some honey by removing the top of the hive and placing a small container over the access hole . My bees promptly sealed it up and went back to the business of collecting pollen. 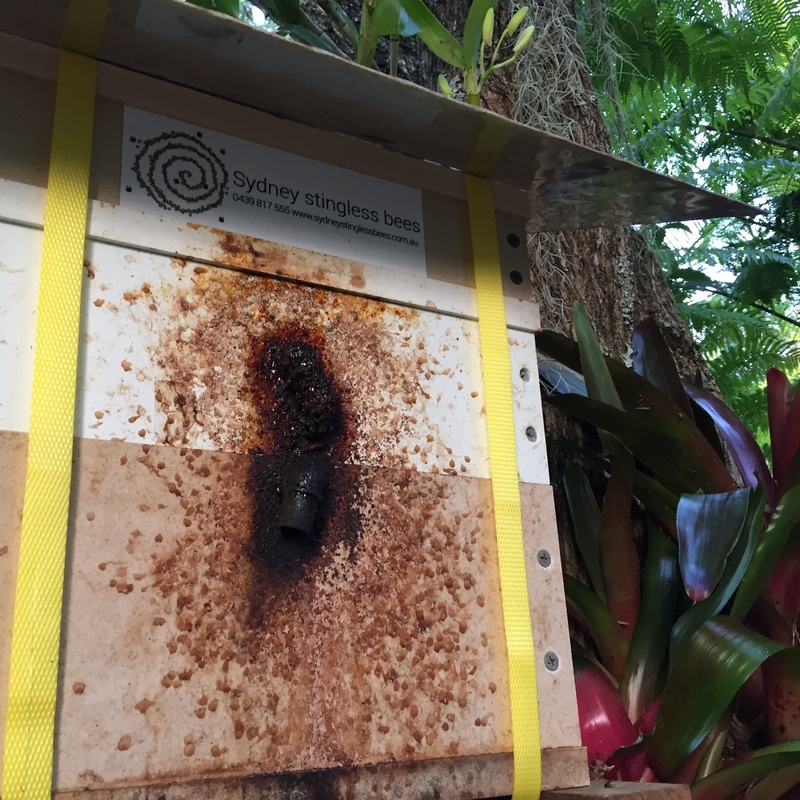 This time I’ve gone professional and ordered a proper Honey Super kit from Sydney Native Stingless Bees. The helpful Melissa sent me several honey pots, a honey super and two straps to secure the hive. Roof back in place – messy little devils aren’t they! 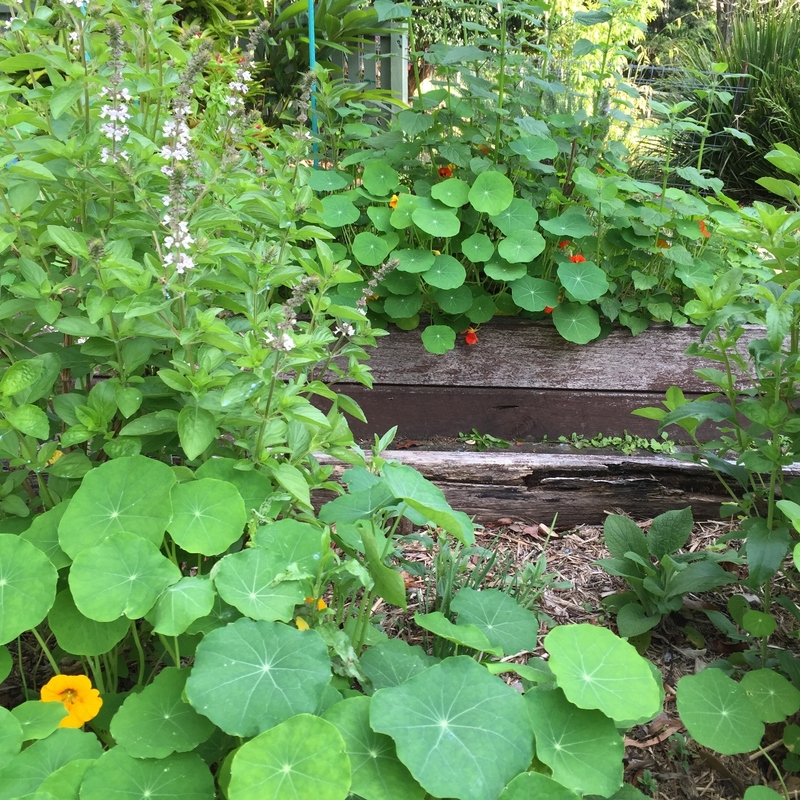 I’ll have to wait 6-8 weeks before peeking, but as my Bee Beds are about to burst into flower, I have high hopes that by the beginning of November I’ll have a little native bee honey to drizzle on my morning yoghurt. Next Pigface … who knew? I must say you’re a pretty demanding beekeeper, Fenella! I hope they oblige. I hope they oblige too – after all I’ve pandered to their every need, and all I want in return is a small pot of honey. Not too much to ask for I hope.